Even people who don't whip out the plastic on a regular basis like to have a credit card they can turn to in the event of an emergency. 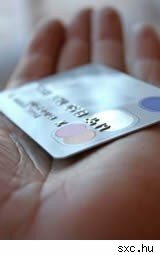 This article from CreditCards.com outlines some of the main ins and outs of using without abusing an emergency card. Clarky Davis, a reformed debt-aholic who gives financial advice under the moniker of the "Debt Diva," spoke with Walletpop to give our readers some sound advice about when to use -- and when not to use -- an emergency credit card. First, since card companies have taken up the irritating habit of canceling unused cards, don't save your card just for emergencies, or you may find that the account's been closed right when you need it most. Davis suggests using it for one small payment each month, either a purchase you make regularly or an automatic payment, just to keep the account active and in good standing. So when should you use your card? If you're traveling and become stranded. Especially if you're in an unsafe area, use the card to get somewhere secure, whether that means renting a car or getting a motel room if you're away from home and without transportation. If your car breaks down. Since it's safe to assume most of us rely on our car to get to work and earn the money that's going to pay off the emergency card along with the rest of our bills, this is a legit use of an emergency card. If your home becomes damaged. If your home is unsafe or uninhabitable and fixing it won't be covered by insurance, use the card. If your furnace breaks in the dead of winter or a water leak creates unhealthy mold growth, use the card to get repairs made. If a major appliance bites the dust. Davis is quick to note here that a DVD player or even a dishwasher is not a major appliance. "You should be able to save up for a dishwasher and can wash the dishes by hand in the meantime," she says. What does qualify as major? Your fridge, stove, hot water heater and washing machine all count; Davis gives her blessing to break out the emergency plastic to fix those. That's a pretty short list, but Davis emphasizes that an emergency card should really only be used for true emergencies. WalletPop asked her to list a few common expenses people mistakenly categorize as "emergencies" that really aren't. Birthdays. "The card's not for the forgotten birthday," says Davis. They happen every year, so they're not exactly a surprise. In this economy, a homemade or token gift or even a card will suffice. If you feel the need to buy a gift, though, budget for it. Broken electronics. Yes, it can be harsh hearing that you might have to live without a piece of much-loved gadgetry until you can save up for a repair or a replacement. But high-tech gizmos don't constitute an emergency. Auto maintenance. "An emergency card shouldn't be used for getting routine car work done because you know ahead of time you're going to have to pay for that," says Davis. Part of owning a car is budgeting not just for gas and insurance, but for routine repairs or replacement of worn parts.